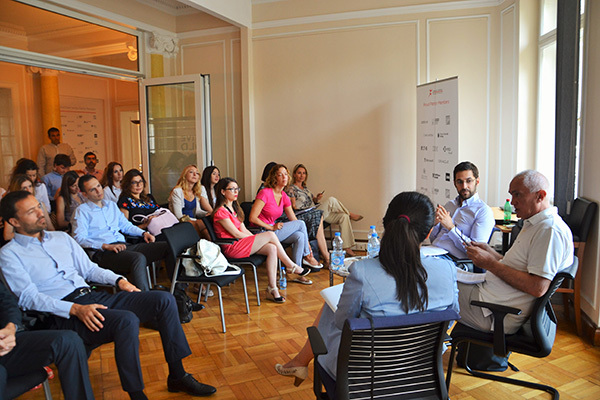 Amcham Serbia, leading international business hub composed of 190+ companies united by a will to improve the Serbian business environment and be part of the influential community, on 28 June 2017, held a Briefing Session on Model Law on Data Protection and Implementation of the Law on Data Protection currently in force with Rodoljub Šabić, Commissioner for Information of Public Importance and Personal Data Protection. The Session was moderated by Živković Samardžić Technology, Media and Telecommunications Associate Miloš Stojković, who serves as a head of the AmCham Digital Economy Platform’s Regulatory Stream, AmCham Serbia’s body focused on initiating and supporting regulatory changes enabling smooth transition of Serbian economy towards digital technologies. The Commissioner Šabić said that Serbia, in order to address the issues and insufficiances recognized in the implementation of the 2008 Law on Data Protection, needs new legislation in this area as soon as possible. The Model Law on Data Protection prepared by his office, while recognizing the fact that Serbia is not yet an EU member country is sufficiently harmonized with EU General Data Protection Regulation (GDPR) (Regulation (EU) 2016/679) and represents a solid foundation for such new legislation to be adopted.